Hello everyone, today we are discussing my writing favorites with a writing meme hosted by by Cait @paper fury and Sky @further up and further in in which writers discuss their current writing projects. I am currently on hiatus and expect to remain on hiatus into the beginning of May for complicated life reasons and the time it takes to participate in Camp NaNoWriMo, but I just had to return and participate in the final edition of this meme. Today’s character based questions will center around Lyle, the protagonist of the project I’m currently revising for Camp NaNoWriMo. Favourite genre to write in? Looking at what I’ve written in the past, I’m going to have to say science fiction. It’s what I write the most even if I write a lot of fantasy too. As much as I love fiction, I’d probably have to go with some sort of self-help book because Lyle’s life is messed up. Unfortunately, I don’t read a lot of self-help books. Maybe a guide on how to be human, LOL. Favourite piece of dialogue you’ve written? What did your character want to be when they grew up, and what did they actually become? My character is still a teenager . . . sort of, it’s complicated, so he hasn’t grown up yet. I want to leave this open for a potential sequel. I’m actually really bad at naming characters so, um, Lyle. Let’s go with that. What makes your character feel loved, and who was the last person to make them feel that way? I misread this question as “what makes you feel loved” which made this seem like a very awkward question for this sort of Q and A. . . . Anyway, this depends on whether the question is referring to before or after the book. I suppose Lyle’s friends make him feel loved? Favourite character you’ve ever written? This would probably have to be the protagonist of one of my middle grade projects. She is a fairy princess who wants to be something– anything– other than a fairy princess, and I just had so much fun writing her even though I generally dislike the rebellious princess trope. Well, Lyle actually does “leave town” so to speak early in my draft. He does so at the spur of the moment with very few belongings except for one that helps him speak. Lyle likes being able to speak. In my fantasy, I love writing stories that feature quests with lots of travel . . . maybe a little too much because I don’t travel often. In my sci-fi, I love exploring moral dilemmas that arise from concepts like time travel and other theoretical technology. Overall, I’m not sure if this is a trope or not, but I love writing from unusual point of views. I mean this less in terms of the character I’ve chosen as my narrator being an odd choice, though there is some of that, and more in terms of the way in which they tell the story being somewhat experimental. For example, when I wrote from the point of view of a character who could read minds, she would frequently make comments that, from any other character, would resemble what is known as “head-hopping” in which a character knows more than they should about what other characters are thinking. Which story has your heart and won’t let go? I really want to write something set underwater, but have never gotten around to it. At the moment, it’s next on my “to-write” list. Favourite relationship between characters you’ve written? This is a hard one. If this can apply to non-romantic relationships, then the complicated bond between two siblings who are side characters in one of my previous manuscripts I’ve now shelved. Toni Morrison once said, “If there’s a book that you want to read, but it hasn’t been written yet, then you must write it.” What are the books that you want to see more of, and what “holes” do you think need filling in the literary world? There are so many “holes,” but I don’t necessarily think it’s my place to “fill” most of them. As to what I think the literary world needs more of in general, but not necessarily that I will write, I think it needs more books set outside of the US and UK, more books featuring friendship and family bonds, and more books featuring characters with various disabilities. Favourite pinterest board / aesthetic for a book? I have a tendency to get caught up in searching for these sorts of things for hours and I don’t have time for that right now, so I think I remember Marie Lu had some nice ones? Favourite time periods & settings to work with? Well, I love writing about the future an in places that don’t exist. Does that count? When people are done reading your book, what feeling do you want them to come away with? This depends on the book in question, but generally I would like them to come away feeling I’ve made them think about concepts they’ve never considered before. Not even feeling that their thoughts on these concepts have changed, just feeling interested in having a conversation about them. What is your favorite time period to write in? Anyone else participate in April’s Camp NaNoWriMo? Were any of my questions surprising? This month I’m talking about Lyle, the protagonist of my science fiction work in progress. I’m currently over 60,000 words into my first draft of this project and am loving it. What are they addicted to/can’t live without? Lyle is addicted to watching documentaries for hours on end. He could, however, live without them, and does so for much of my manuscript. I suppose the one thing Lyle can’t live without are his values and perhaps his family. Name 3 positive and 3 negative qualities about your character. Are they holding onto something they should get rid of? Yes, towards the middle of my manuscript Lyle is holding on to longing for a life he can no longer lead. If 10 is completely organized and 1 is completely messy, where do they fall on the scale? Lyle’s an eight. He is organized when he can be, but there are times throughout the story where organization is physically impossible. What most frustrates them about the world they live in? Inequality and injustice, Lyle hates it. How would they dress for a night out? How would they dress for a night in? That depends on the formality of the occasion. Lyle likes formality, but has limited clothing options. As for a night in, Lyle’s fine motor skills are terrible. He’d want something without buttons and as few zippers as possible. Needing to ask for help from others not only embarrasses him, but would take a lot of other people’s time. How many shoes do they own, and what kind? Not many. Probably only one or two pairs. The kind that can be slipped into without laces because Lyle wouldn’t be able to tie them. Do they have any pets? What pet do they WISH they had? Yes, but I can’t say much because these “pets” are a huge part of the plot. The answer to the second question also revolves around a major plot point, so I’m going to be as vague as possible and say Lyle wants pet pigs. Is there something or someone that they resent? Why and what happened? Yes, Lyle resents his parents and a pair of farmers. This is a major plot point, so I can’t say. What’s usually in their fridge or pantry? Lyle is a minor and doesn’t have much control over the household food choices. That said, Lyle’s mother seems like the sort who would keep a bunch of diet foods around. Are you working on any writing projects? How’s it going? Would you want to be friends with Lyle? 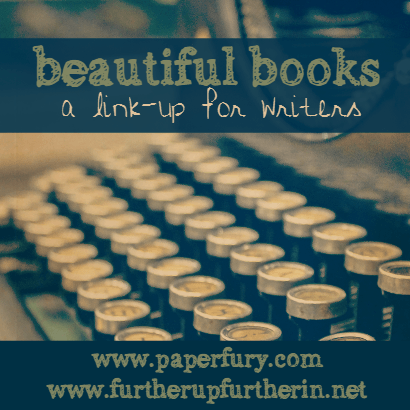 Beautiful Books is a tri-annual linkup and variation of the monthly Beautiful People meme run by Cait @paperfury and Sky @furtherupfurtherin in which writers discuss their writing projects. What were your writing achievements last year? I finished rewriting my epic fantasy work in progress. What’s on your writerly “to-do list” for 2017? To reread my project from last year, decide what to do about it, and write another first draft. Hopefully have something I feel comfortable sending to beta readers by the end of the year. Tell us about your top-priority writing projects for this year! Not quite sure what the focus will be this year. I have a lot of ideas I could start, and am not sure which ones I will chose yet. How do you hope to improve as a writer? Where do you see yourself at the end of 2017? I hope to get better at revising my completed work. At the end of 2017 I hope to see myself with at least one revised manuscript. Describe your general editing process. This is still forming, hence the goal to get better at revision, but I tend to start with big picture issues first then move to smaller ones. On a scale of 1-10, how do you think this draft turned out? Five, it’s a lot better than the first draft, but needs a lot of work. What aspect of your draft needs the most work? World-building, this piece deals with a lot of fictional cultures, and I’m having trouble deciding on some of their characteristics. What do you like the most about your draft? What are your plans for this novel once you finish editing? More edits? Finding beta readers? Querying? Self-publishing? Hiding it in a dark hole forever? Not sure yet. It depends how confident I feel in it after more revisions. 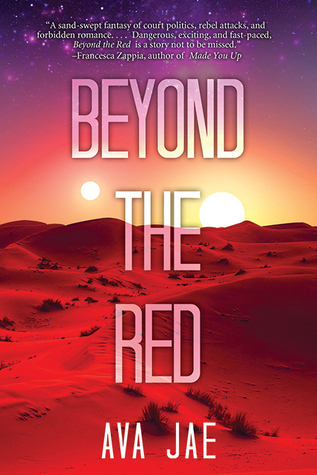 however, I’ll almost certainly be sending it to beta readers, but not for some time. What’s your top piece of advice for those just finished writing a first draft? Set it aside for a little while before deciding what to do with it. I didn’t have much time for reading in March, but I’m okay with that because of how busy I was, and how much I accomplished in terms of writing. Short Synopsis: After the destruction of Earth, Lilith finds herself abducted by mysterious captors. 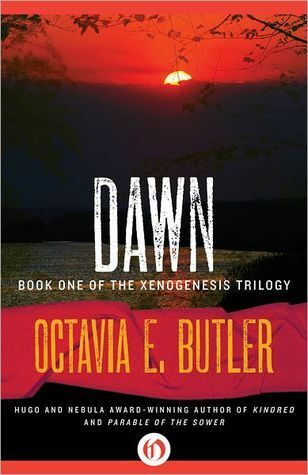 Thoughts: This science fiction novel is very different from what I normally read, making for a nice change in pace. I liked the first half better than the second, as by the end some of the sense of wonder had worn off. An interesting take on alien invasions. 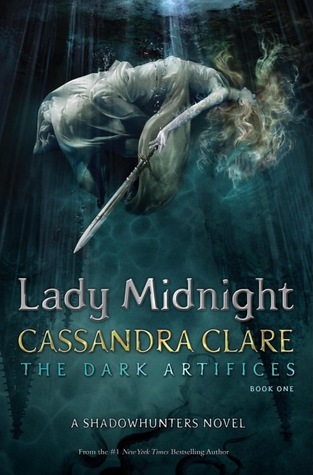 Short Synopsis: First book in the Infernal Devices series, the sequel to the Mortal Instruments series and companion series to the Infernal Devices. Thoughts: This book was very addictive once I got past the first few chapters, but at the same time I felt it could have been much shorter and still have been effective. The new characters are enjoyable, and I’m excited to see where this series goes in the sequel. Edit: After publishing this I realized that a book I’d thought I read in February was actually read during March. That book’s details are listed below. Short Synopsis: The queen of an alien civilization and a half human, half alien boy must team up to save themselves and humanity. Thoughts: This book was a light and fun read. The writing was a little hard to follow at times. I sometimes wondered how the characters had gotten from one scene to another, but all in all it was a nice debut. Short Synopsis: Two college students uncover the key to getting superpowers which subsequently ruins their lives. Thoughts: Very different from the other V.E. 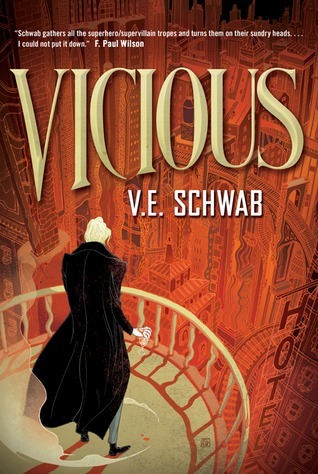 Schwab books I’ve read in the A Darker Shade of Magic series. I really enjoyed the way the novels’ two timelines interwove, and how this book toyed with the traditional concept of good verses evil. During March I met my goal of writing at least 500 words each day on my work in progress with 16268 words total for the month bringing my manuscript over 4o,000 words in length. I’m participating in Camp NaNoWriMo this month, and my goal is to write 20,000 words. I’m really sorry about the relative inactivity lately. Unfortunately, it will probably continue until I finish my rewrite. I’ve decided to participate Beautiful People this month. It’s a monthly meme hosted by Cait @Paper Fury and Sky @Further up and Further In in which writers answer questions about their characters. This month I will be focusing on Yuliana, the narrator of the epic fantasy project I am 40,000 words, or just under halfway, into rewriting. What first inspired this character? Is there a person/actor you based them off? I’m not sure. Her personality is a lot like mine. I suppose that aspect of her is inspired by myself, but not much else is. Her appearance, personal history, and interests are very different from my own. I tend to write a few scenes from the perspectives individuals with various characteristics until I find which character(s) I feel are most capable of telling the story, and even then a lot about the narrator(s) changes throughout my first draft. The first character I cast for the role of this story’s protagonist was actually male, and his personality was about as close to the opposite of Yuliana’s as it’s possible to get. That draft didn’t last long. My main character’s routine changes in a way that makes going back to the way things were at the beginning of the story impossible very quickly. For this reason, I will be sharing what her routine was like before the story started because her routine throughout the story is radically different. For this to make sense I need to give a little background information. In the first chapter of the book Yuliana is a palace servant who doubles as a spy for the queen who also happens to be her mother, but this fact is known only to the two of them. Yuliana wakes up early in the morning to take care of delivering breakfast to the palace nobility and taking care of whatever else she has been assigned to do that particular morning. Often she’ll spend an extra long amount of time with her mother in the morning, especially if her mother has any particular information she wants Yuliana to gather on someone in the palace that day. The rest of her day is spent trying to find a way to work getting as close as possible to whoever she is supposed to be gaining information on while completing the tasks she’s been assigned for the day. That night, she will report her findings to her mother and go to sleep exhausted. If they joined your local high school, what clique would they fit into? Not sure that she would fit into any. She’d probably spend a lot of time compiling information about her fellow students, but not really joining any clique. She gained her current education by spying on the nobility’s children during their lessons, after all. The fact that her mother won’t publicly acknowledge her as her first born child. The frequent threats on her life. Her mother’s refusal to talk about her father. Her half sister, the crown princess, with whom she has a love-hate relationship. The looks most people give her in the rare times that they acknowledge her existence. Dairy products, she’ll eat them if they’re the only food available, but does not like them. How do they react in awkward silences? She experiences these quite often, but it depends heavily on the circumstances and who she is talking to. If they’re someone important she might wait for them to dismiss her. If not she might flee the room on her own or wait for someone to continue speaking. Can they swim? If so, how did they learn? It’s very hard for me to wrap my mind around the fact that some people can’t swim. Where I live everyone learns to swim or they will die– okay, not really, but they’re at a significantly greater chance of it. My protagonist’s culture is similar in this regard, but worse. As in, if you can’t swim you really will die. Yuliana learned when she was too young to remember. Probably with some of the palace staff’s children. What is one major event that helped shape who they are? When Yuliana was younger her mother sent her to live with a group of people who didn’t care for her very well for a few years. The queen was worried that if Yuliana remained in the palace her ancestry would be too clear. Yuliana hated living there, and having to hide everything about herself from everyone. When her mother, the only person who knew the truth about Yuliana, came back into her life she was terrified to lose her, and with her the ability to talk to someone openly, again. She became entirely devoted to her mother so she would never have a reason to send Yuliana away again. What things do they value most in life? Yuliana doesn’t own much in the way of physical possessions, but she highly values the island where she lives and her own anonymity. Do they believe in giving other people second chances? Do they have any trust issues? She gave her mother a second chance after feeling like she’d abandoned her, so yes. However, both as a result of what happened with her mother and keeping so much about herself a secret Yuliana has major trust issues. She basically doesn’t trust anyone at the beginning of the story. She trusts people at various levels throughout the rest, but it’s hard for her. Your character is having a rough day…what things do they do to make them happy again? Is there anyone they talk/interact with to get in a better mood? Yuliana tries to keep herself busy when things aren’t going well. She’ll find so many things to do that by the end of the day she will collapse into an exhausted heap. Who she will interact with to try to make herself feel better varies heavily based on which part of the story is being referenced.